Indeed every human on earth is obligated to be one who submits to Allah, is obedient to Him, following what He enjoined and avoiding what He forbade irrespective of differences in time or place, however when people changed their religion and began to follow their whims and desires they departed from the truth and began to follow falsehood. 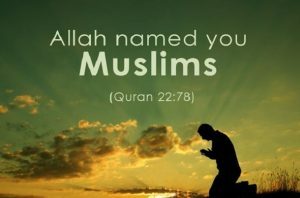 The religion of Allah that all Prophets came with was Islam. The article is excerpted from the book “A Beneficial Summary of Rulings for New Muslim”, published by The Ministry of Endowments & Islamic Affairs, Kuwait- 2nd Edition 1436/2015.